Our very own Amadu Mohammed (Director and co-founder of Achievers Book Club) was a proud recipient of the MTN Heroes for Change award this evening. 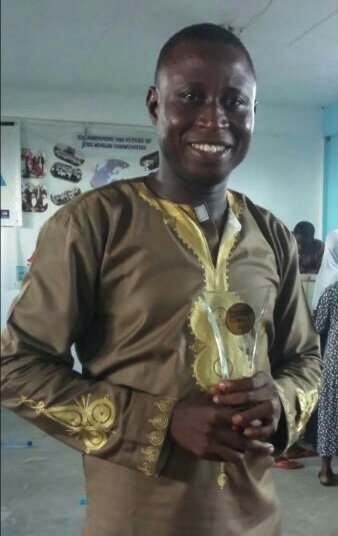 Amadu was nominated for 3 of the 5 categories, ultimately receiving the award for Community Crusader through his selfless and impactful work at Achievers. He will receive 10,000 Ghana cedis to continue and expand the impact being made at Achievers. What this means is that even more girls can receive sponsorship toward their education this year. Amadu! You are truly a hero for change. You have made us proud. This entry was posted in Uncategorized and tagged Amadu, award, community crusader, Heroes for change, Mohammad, MTN. Bookmark the permalink.